Slightly translucent opalescent. Color shift described below. Hues of shift colors change depending on light source (natural, incandescent, LED, or fluorescent) and sometimes thickness, regardless of whether they have been fired or not. Torch: A stable pastel that is not prone to reduction in a neutral flame. 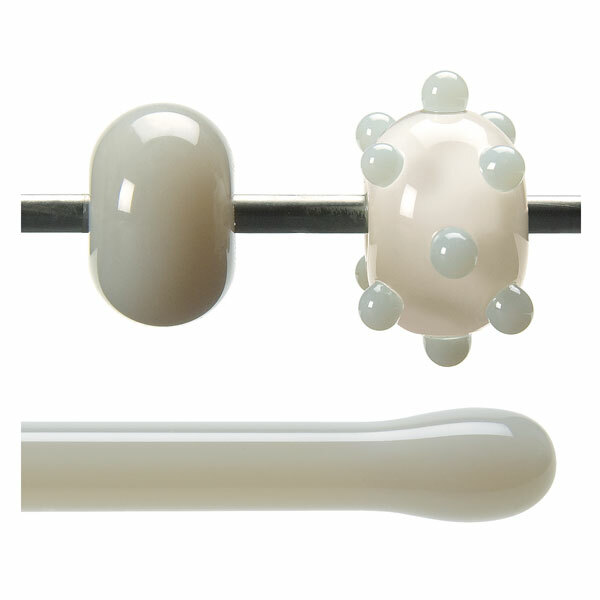 An opalescent version of Rhubarb Shift Tint (001859), 000459 is a rare earth glass that shifts from a pale blue to a pale green to a neutral pink depending on the light source.